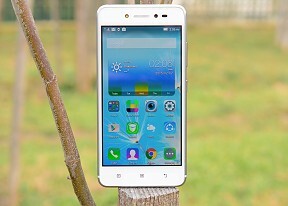 Looking back at the Lenovo S90 Sisley, the design is definitely the most questionable piece of the puzzle. The phone was meant to look as close as possible to the iPhone 6, from the exterior all the way down to its custom Android build. That's not to say that it's not an attractive phone - right on the contrary, but we liked some of the other Lenovo smartphones better, like the Vibe X2 or Z2 and Z2 Pro, which all have a distinct and equally pleasing look of their own. We get it though. Apple's design on a budget does hold a lot of appeal and potential in certain markets, but a more in-depth look reveals a lot of compromises in terms of the materials used and the fine, precision engineered parts, but more importantly, performance. The S90 Sisley is reasonably spec'd on paper, but seems to perform under its league. Lenovo may have skipped on some fine-tuning or the ambitious Vibe UI 2 is stressing the device too much but, whatever the reason, the Sisley struggled to come through with a lot of the benchmarks we threw at it. Gallery and Camera application could use some more advanced feature to keep up with the rest of the UX; also there is no custom Music playback app. Lenovo has inexplicably decided to break away from its routine and churn out what is essentially an iPhone on a budget. This definitely has its appeal, especially considering the company's recent agenda of covering more ground both domestically and internationally under the Lenovo and Moto brands. We just can't help but think that Lenovo could have put some more effort into distancing its device from the majority of iPhone clones. 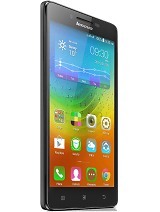 After all, we know Lenovo is capable of designing good-looking phones, and not necessarily with premium price tags. 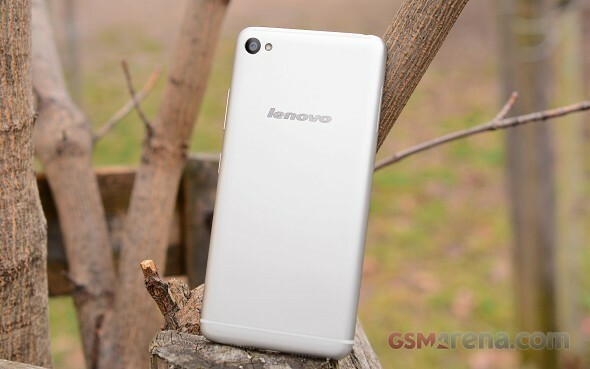 The likes of the Vibe Z2 Pro and the Vibe X2 have the high-end market covered, but the S90 has a solid alternative in the Lenovo A6000. Over at Samsung's camp, the Galaxy A3 and A5 are built on mostly the same hardware and the 5-inch Galaxy A5 looks like a direct contender. 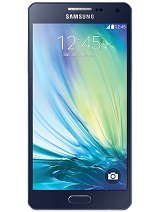 The Galaxy A5 costs a good $100 more than the Sisley, but it is also a much better device all-around. 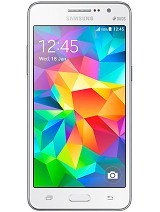 The CPU, GPU, display and RAM are absolutely identical and the Galaxy A5 also comes in a dual-SIM variant. The couple also offer metal bodies, although the one on the Samsung feels far better in terms of materials and quality. What is really important in this comparison is that the Galaxy A5 outshines the S90 in terms of benchmark performance. The A5 also comes with a microSD expansion slot, but the tradeoff is an inferior front-facing camera. The Motorola Moto G (2014) costs about $50 less than the Sisley (can even be found for as little as $200) with a dual-SIM version, which retails for about as much as the Lenovo. It is also quite equally spec'd, packing a Snapdragon 400 SoC, a quad-core Cortex A7 and an Adreno 306 GPU. Despite its simple appearance and less impressive specs sheet, the small Moto packs quite a punch (save for the camera) and is a solid performer. 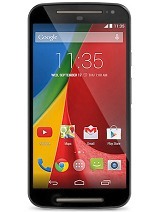 The Moto G also offers a stock Android experience, second only to the Nexus devices. This allows the budget, low-powered device to really hold its own and outperform a lot of powerful phones. A few notable contenders to the S90 in terms of specs that are worth noting are the: Samsung Galaxy Grand Prime, the more recent Galaxy Grand Max, and the HTC Desire 620 Dual SIM. Now let's take a look at what else there is in the Sisley's price range. 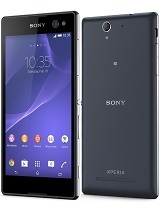 The Sony Xperia C3 is Sony's first attempt at a selfie-centered phone. 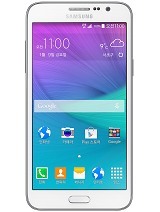 Its hardware is very similar to Moto G (2014), but it comes with a slightly bigger 5.5-inch 720p display. This, coupled with a spectacular endurance rating of 91 hours make the C3 a formidable rival to the Sisley. Last, but not least we can't help but mention another similar Meizu device - the Meizu M1. It is a brightly-colored, plastic handset with a 5-inch screen and a Mediatek MT6732 chipset with a quad-core 1.5 GHz Cortex-A53 and 1GB of RAM. It is on the list mostly because it comes with a more than intriguing price tag - around $100. Sadly, it is only available in Asian markets for the time being, but if you get the chance, it is definitely worth checking out. The Sisley does have its appeal. Sure, most of it has been borrowed from Apple, but an Android-powered iPhone on a budget is quite a marketable thing, to the right target group. The 8MP selfies with an LED flash will certainly help too. We just wish Lenovo had put a twist of their own instead of simply copying. The fine line has been crossed between saying cheese and smelling it.